SFU’s Faculty of Environment (FENV) launched Canada’s first Bachelor’s of Environment program, which aims to create environmental problem-solvers and decision-makers capable of making a contribution to mitigating climate change. A balance of the social sciences and the natural sciences, the degree program will begin in January 2015. Burns emphasized that many employers are looking for candidates who have an understanding of contemporary environmental challenges and who know how to interact and work well within a group with people from different backgrounds. The courses offered within the program are meant to prepare students for these types of roles. One such course, to be offered in Spring 2015, is called ENV 222-3: Environmental Controversy. Environmental controversies are complex since they require thorough understanding of social sciences such as policies, laws, and ethics, but also require a foundation in natural sciences such as biology and ecology. In ENV 222, students will have to explore the complexity of specific environmental issues and assess their potential effects. Just as students in ENV 222 will have to combine their knowledge of social and natural sciences, SFU’s Bachelor’s of Environment is considered an interdisciplinary degree, as it combines different courses from other departments as well as core environment courses. 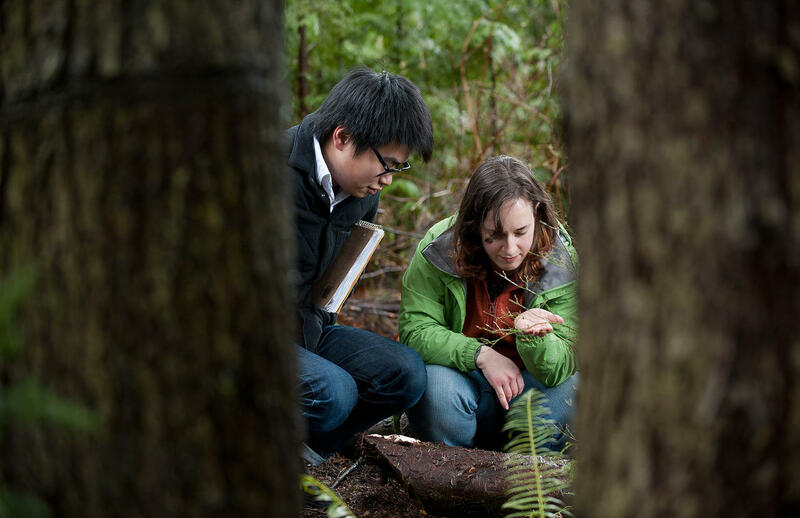 For example, students have three options for majors: global environmental systems, environmental resource management, and sustainable business — a joint major offered collaboratively by FENV and SFU’s Beedie School of Business. Students can take courses from other departments as well as core environment courses. Environmental resource management relates to fisheries, forests, fossil fuels, and mines. This major will focus on coming up with a resolution for how to take environmental action in the community, as well as awareness of laws and regulations on a regional and local scale. Global environmental systems is broader in that it looks at different environmental problems internationally. It also examines social systems, such as the global health system. Sustainable business is a joint major in the environmental sciences and business program. This is a degree for people who hope to work for companies in environmental mining and forestry. Students will gain knowledge around environmental protection, environmental risk assessment, and corporate environmental management. As more and more companies become concerned with sustainability, Burns speculates that this joint major could bring huge benefits. A balance of social sciences and natural sciences? For practicality’s sake put a great deal more weight on the natural sciences. That is what is significantly messing it up. There is a shortage of real practical skills, innovation and talent. Not enough people coming out of education knowing physics!!! Phase out the social science manipulative marketing rubbish. Make it practical!